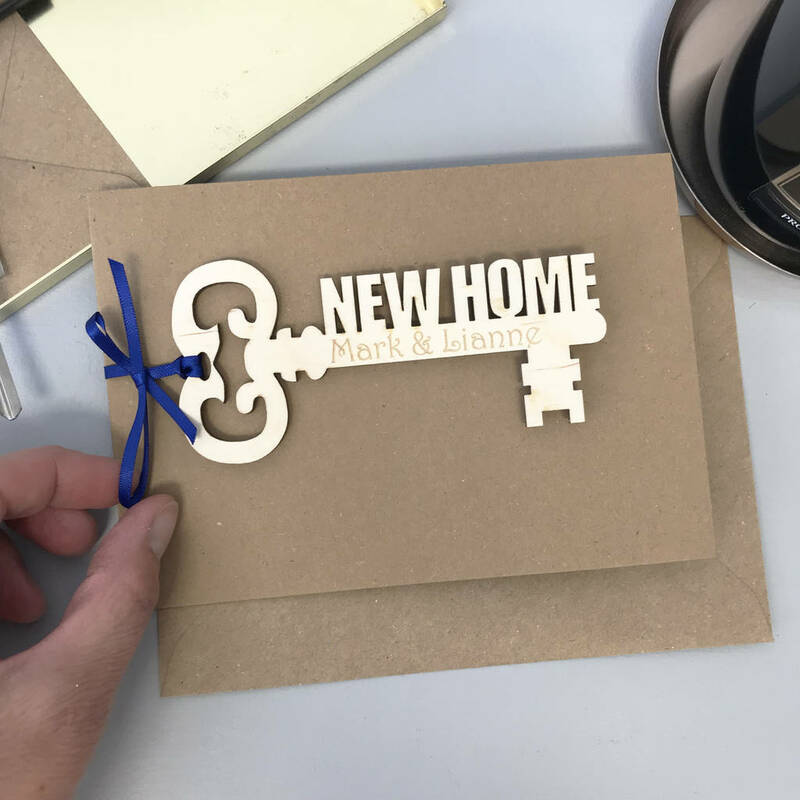 Hickory Dickory Designs personalised New Home cards are the perfect solution for a contemporary house warming gift, individually personalised to order, ideal keepsake cards. 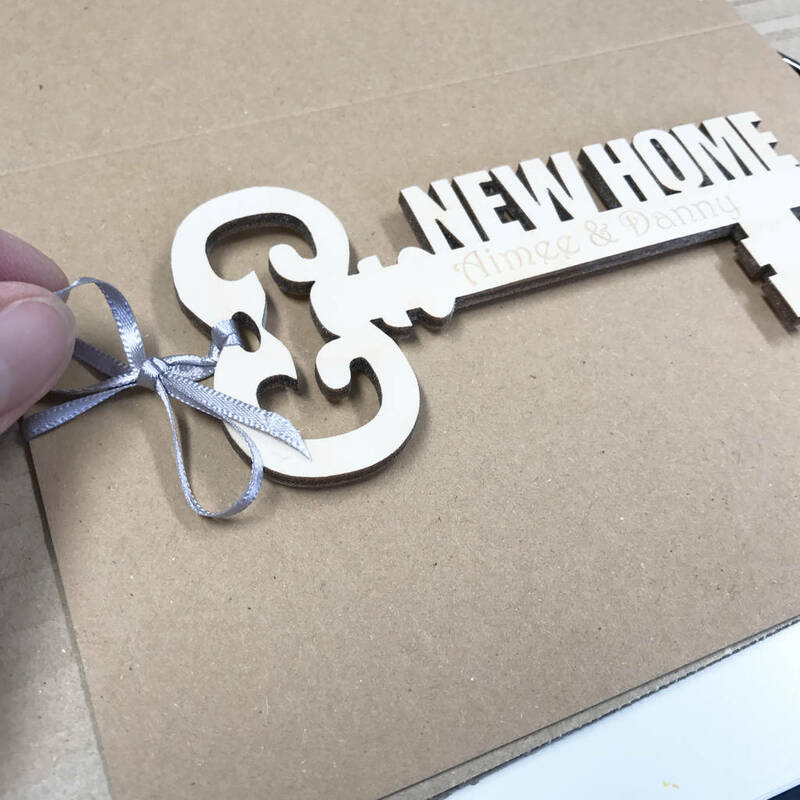 Individually cut from birchply wood the key shape is engraved with either the names of the new home owner, their address or a short inspirational quote. Our cards make wonderfully thoughtful housewarming gifts. 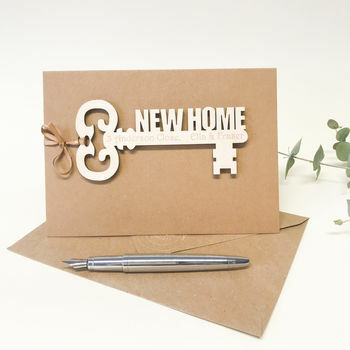 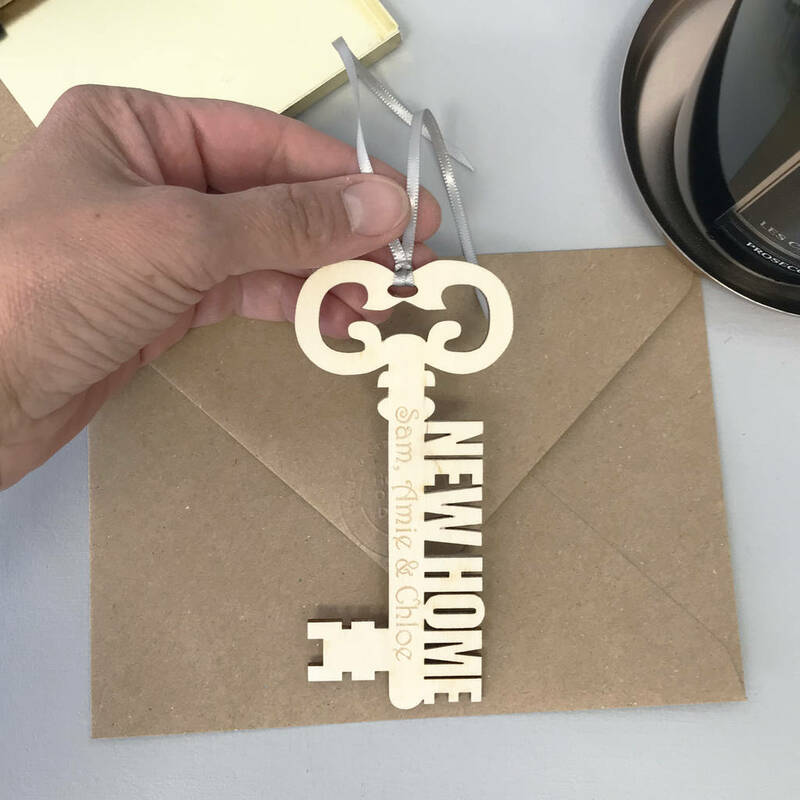 Not only can you add a message of congratulations inside the card, but the wooden key is removable and can become a personal memento, the first part of their home decor. 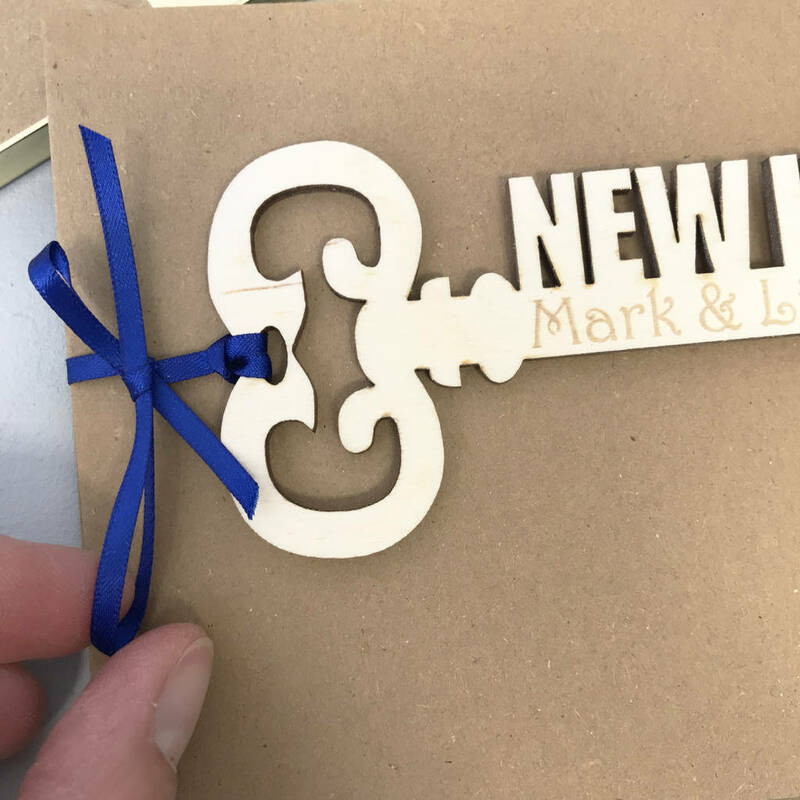 Each card is individually handmade and assembled in our workshop in Hove. 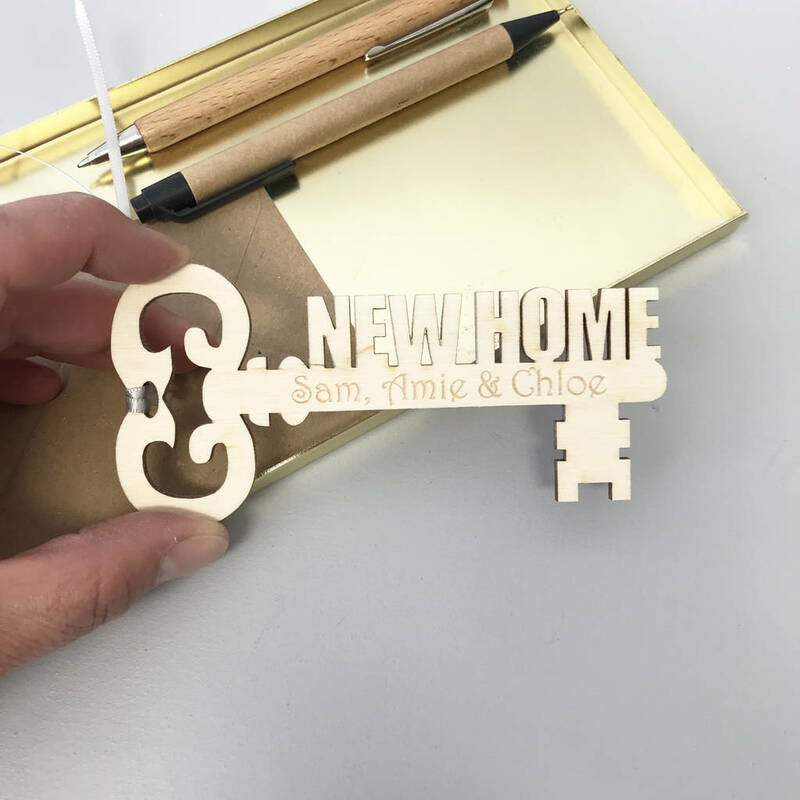 Your personalised details are engraved into the wood. 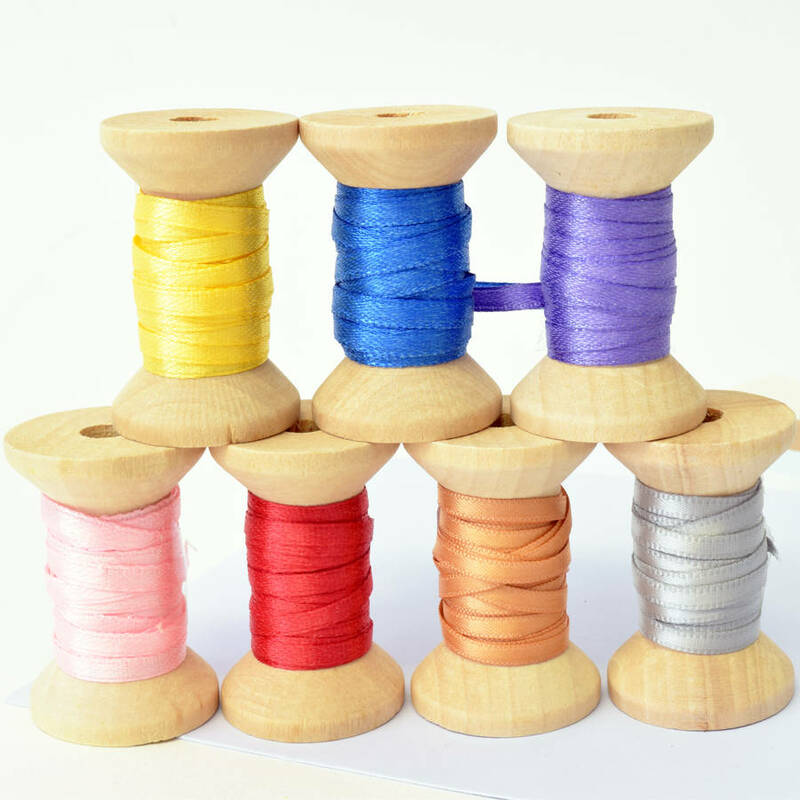 Any irregularities in the wood should be appreciated as part of the natural quality of the material. 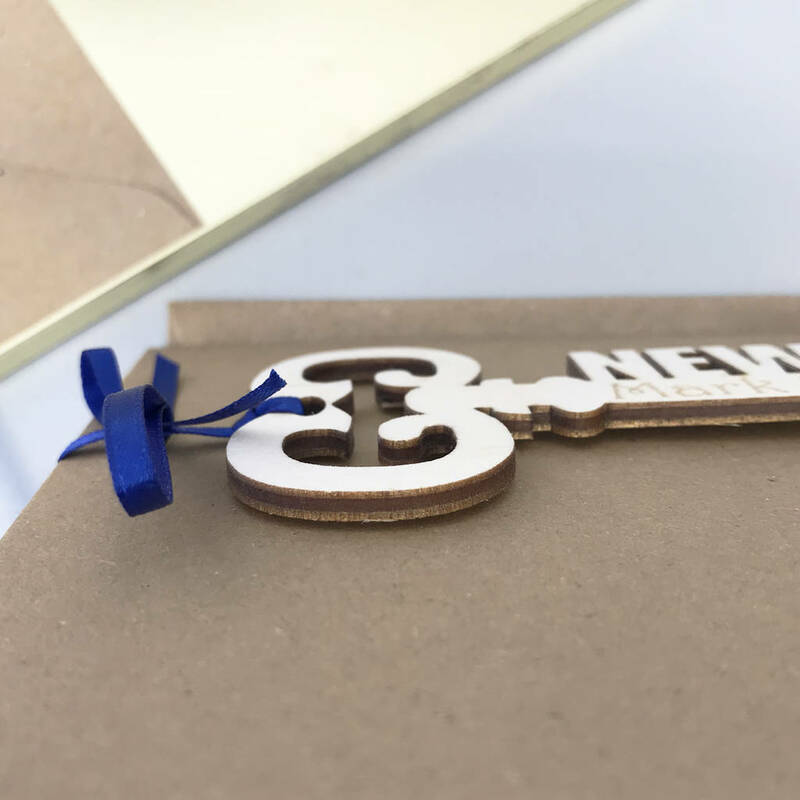 All our cards come with envelopes but you can add a wooden display easel so your gift can be in a prominent place readily seen. 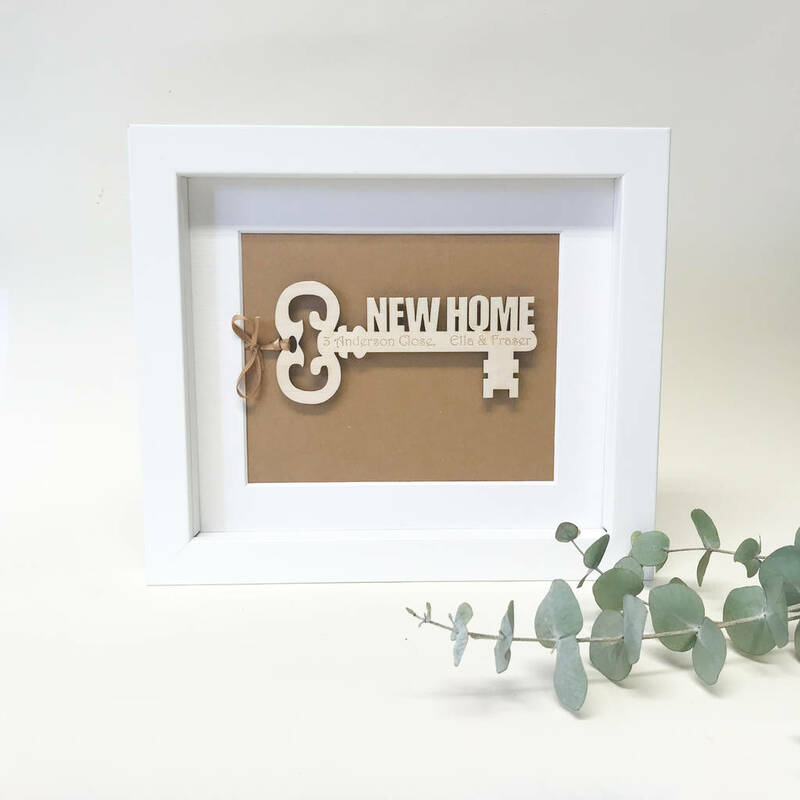 They would also look charming framed (the frame is not included) a beautiful piece of home art, a lasting keepsake, stylish and modern addition to their new home. 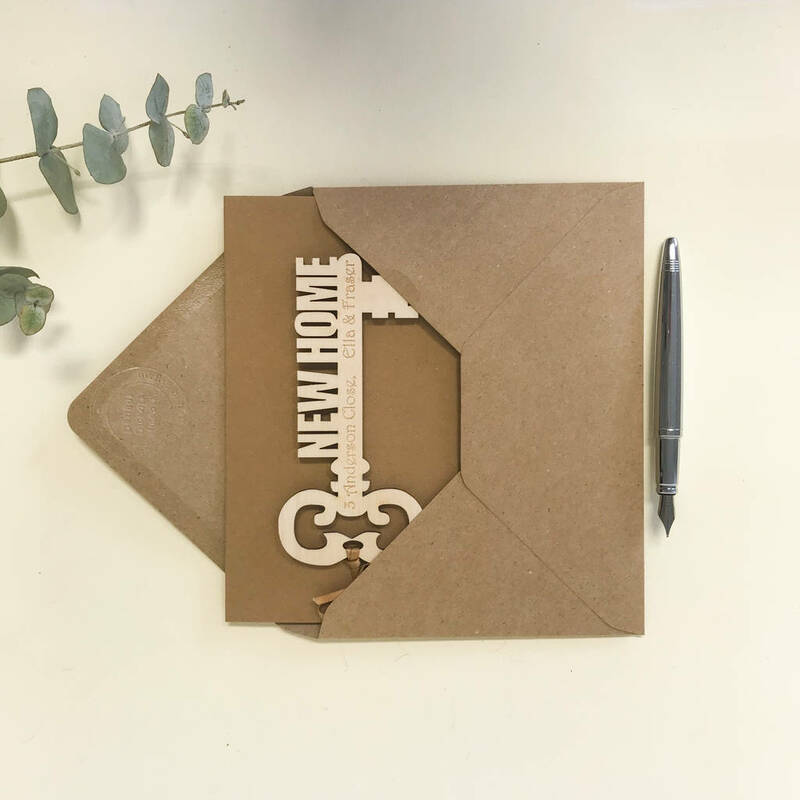 All our products are individually made to order, hand finished in our studio in Hove, East Sussex, we aim to make sustainable gifts and source our wood from local suppliers where possible. 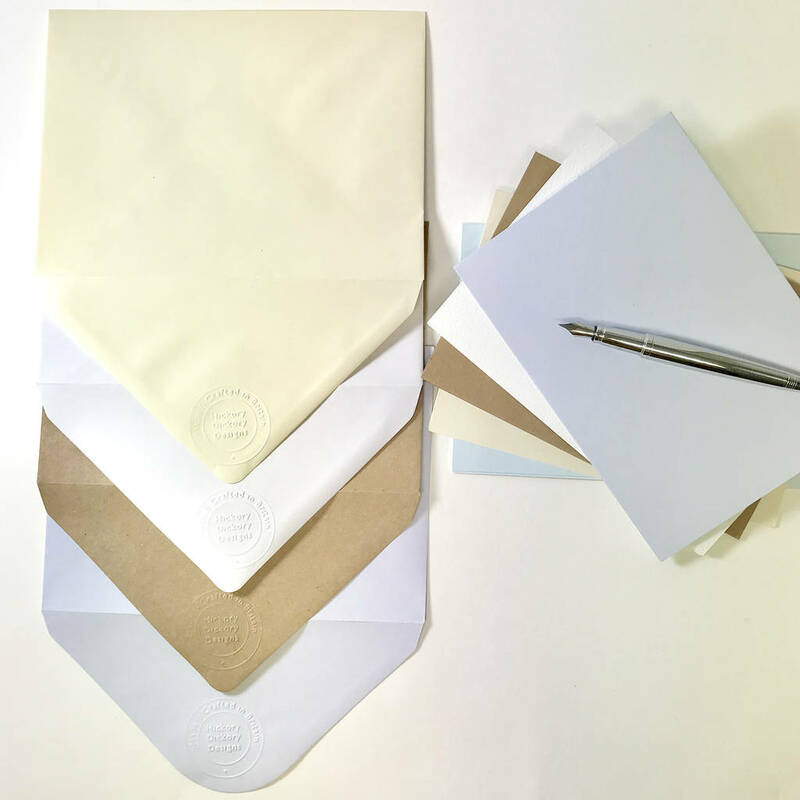 Please choose the colour of the card from: brown kraft/white/cream/light blue/lilac and your ribbon colour from: red/blue/pink/purple/yellow/gold/silver. 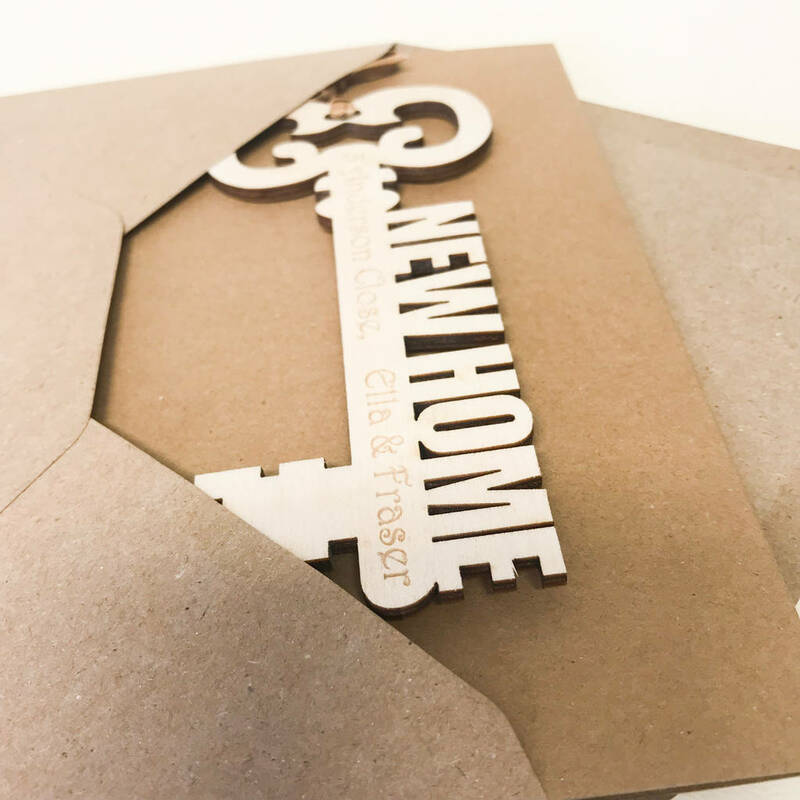 We can now offer the option of a super-sized A4 white card.